This does not allow PSN Access. Use at your own RISK. 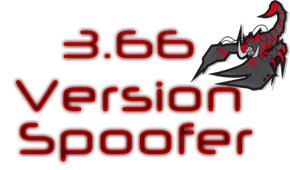 3.66 Version Spoofer 2.0 is available for 3.41 and 3.55 firmware and is much faster and safer to use than the previous version spoofers. It works like the ★ Rebug Selector and backs up your current files before activating the spoof, then auto reboots leaving no room for end-user error.